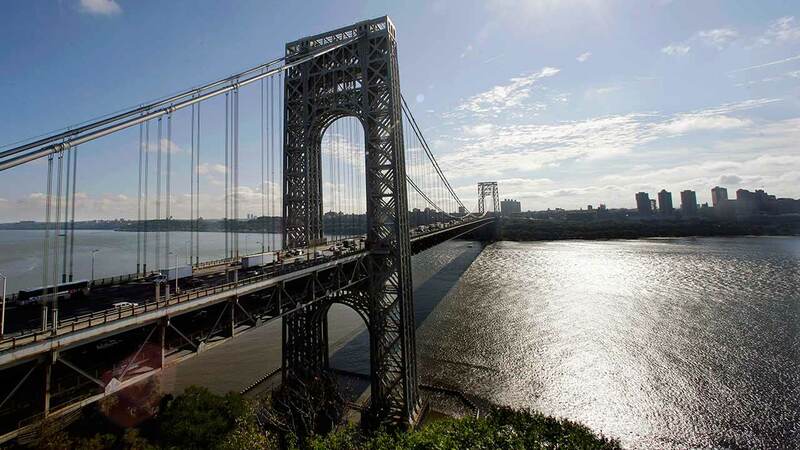 PHILADELPHIA -- A federal appeals court heard arguments Monday in a dispute over whether the government should release a list of unindicted co-conspirators in the George Washington Bridge lane-closing case. A judge in Newark ordered the list released last month but an unidentified person filed to block its release, saying he will be branded a criminal even though he hasn't been charged. The three-judge 3rd U.S. Circuit Court of Appeals panel in Philadelphia grilled attorneys on both sides in the case brought by a group of media organizations including The Associated Press. It isn't known when the court will make a ruling. The case hinges on whether the list is considered part of supporting materials to an indictment against two former allies of Gov. Chris Christie or whether it's protected correspondence between the government and defense attorneys. Judge Kent Jordan told an attorney representing the media that if they don't prevail on that issue "it's game over." A defense attorney in the case says it's "stunning" that a prosecutor implied in Monday's appeals court arguments that its list of unindicted co-conspirators could change before a scheduled September trial. Michael Baldassare represents indicted former Port Authority of New York and New Jersey executive Bill Baroni. Baldassare said Monday U.S. Attorney Paul Fishman's remarks to the judges reflect that the government is leaving open the possibility the list could change. Baldassare said if prosecutors think they can provide a new list closer to the trial date, "they have another thing coming." Fishman didn't immediately respond to a request for comment. Two former allies of Christie were indicted last year for allegedly orchestrating traffic jams near the bridge in 2013 as political payback against a Democratic mayor who didn't support the Republican governor's re-election. Former Christie deputy chief of staff Bridget Kelly and Bill Baroni, a former executive (and Christie appointee) at the Port Authority of New York and New Jersey, the bridge's operator, are scheduled for trial in September. Baroni attended Monday's arguments, along with his attorney. Media organizations filed a motion with the court in Newark in January seeking access to the co-conspirator list, claiming it is part of the public record in the criminal case. Speculation about the identities of those on the list intensified after someone identified only as John Doe filed to stop the list's publication last month, after U.S. District Judge Susan Wigenton ordered its release. Christie, who hasn't been charged and has disavowed any knowledge of the alleged scheme, has said it is highly doubtful he is on the list. A taxpayer-financed probe by a law firm hired by Christie cleared him of wrongdoing, a conclusion roundly criticized by Democrats in New Jersey as a whitewash. Heightened scrutiny of the Port Authority in the wake of the scandal has led to investigations by the U.S. attorney's office in New Jersey, the Manhattan D.A. 's office and the Securities and Exchange Commission into the authority's business practices. Jenny Kramer, who worked under Christie when Christie was U.S. attorney in New Jersey, argued Monday on behalf of John Doe that the list wasn't formally filed with the court but was given by prosecutors to defense attorneys as part of a routine pre-trial sharing of evidence, called discovery, and isn't subject to public access. Current U.S. Attorney Paul Fishman took the rare step of arguing for the government on his own. The government also has opposed the release of the list, arguing that it provided the list to the defense to help it prepare for trial.